Individuals, corporations, and governments spend no more than their income. “Honest” money is used by all, has intrinsic value, retains its purchasing power and is not counterfeited by individuals or bankers. Governments and bankers support and encourage “honest” money. 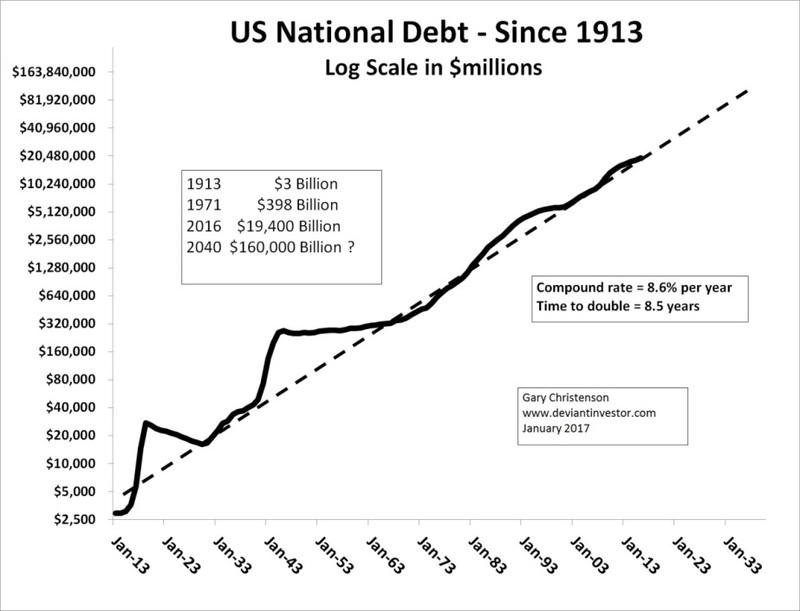 Debt has increased rapidly for the past century. 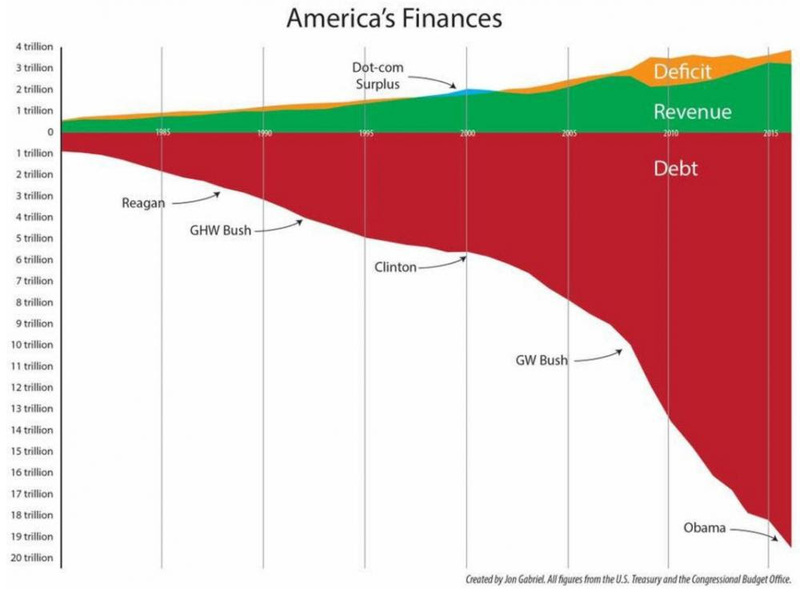 Example: U.S. national debt has expanded from roughly $3 billion to $20 trillion. Currencies are IOU’s issued by central banks who promote ever-increasing currency in circulation, expanding debt, and continual devaluations in purchasing power. The “fiat-currency-game” will continue until it implodes. 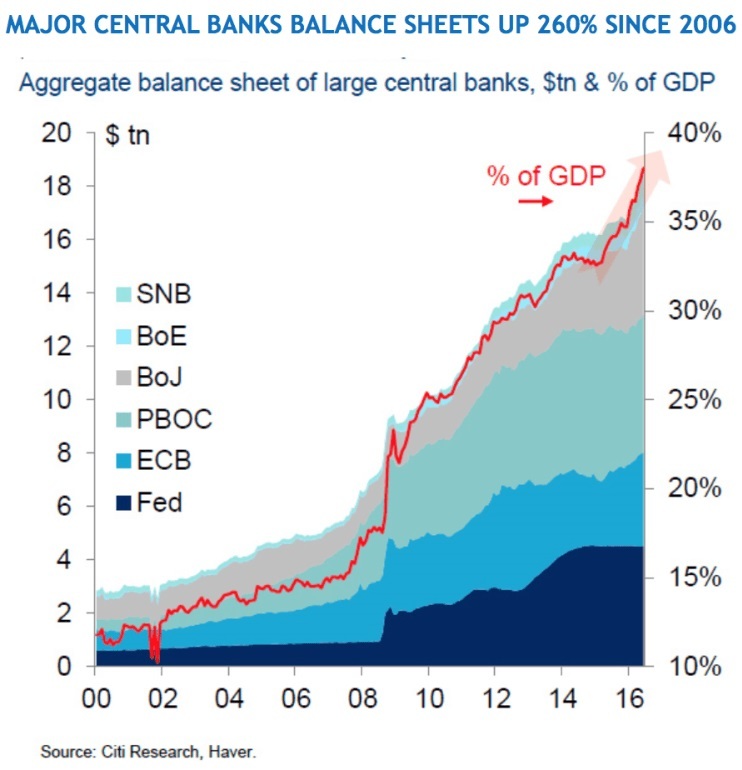 Central banks and commercial banks create more dollars, yen, euros, and pounds, thereby diluting the value of all existing fiat currencies. Consequently consumers must protect their purchasing power. How do you protect your purchasing power? Stocks, bonds, real estate, silver, gold, and many others. 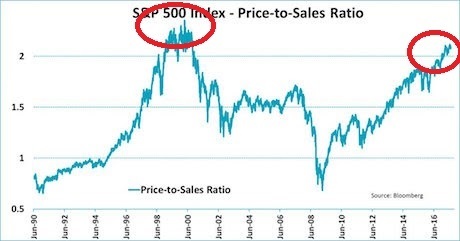 The problem with stocks – they are dangerously high. The problem with bonds: Bonds yield next to nothing and pay in currencies guaranteed to depreciate in value. Waiting for a friendly central banker to bail out your investment works for the elite, but not for most individuals. 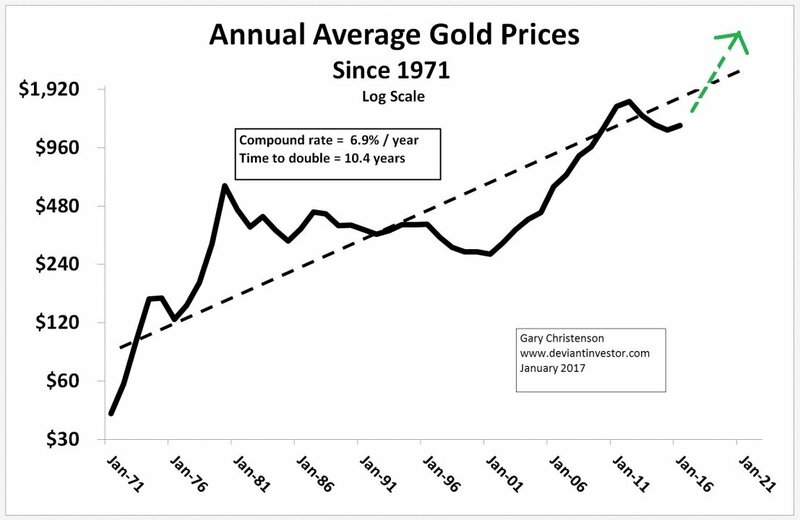 The problems with gold and silver: They are mostly anonymous, safe, retain their value over centuries, are not simultaneously another party’s liability, and cannot be counterfeited by central banks or governments. Some might see these characteristics as benefits, not problems! 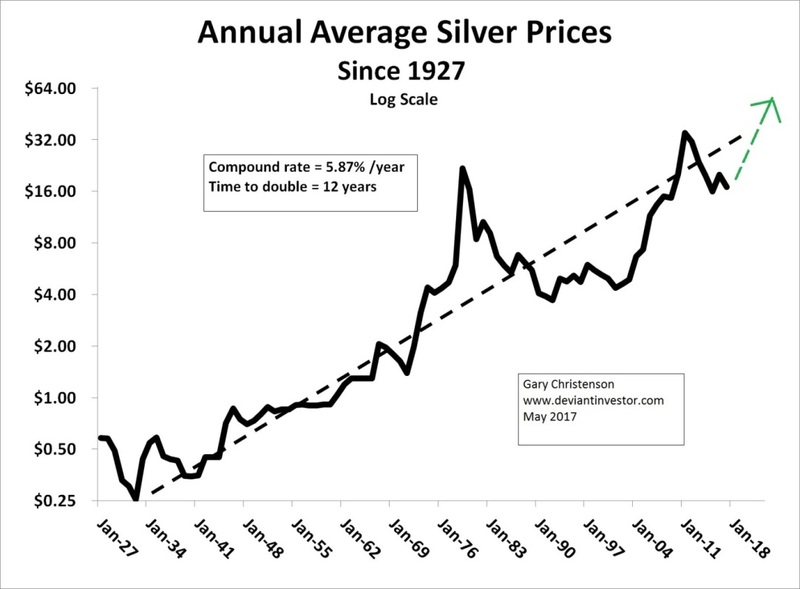 Western central bankers believe gold and silver are threats to their fiat currencies. 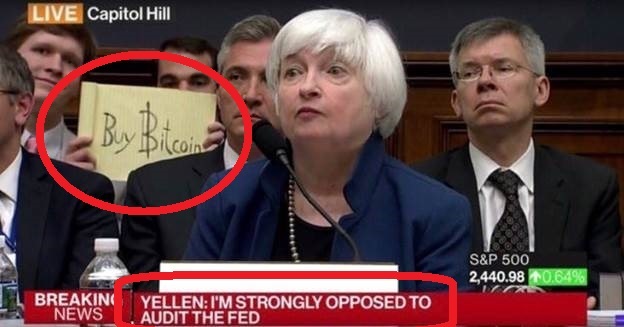 They want everyone locked into their unbacked debt based fiat currency schemes that benefit the financial and political elite. Tough luck for the rest of us. The rise of cryptocurrencies indicates, among other things, dissatisfaction with fiat currencies. In summary, the global financial system, based on “dishonest” fiat currencies is dangerous and unstable. Potential wars with North Korea, Russia and China will aggravate an already dangerous economic structure. Existing wars in Syria, Iraq, Afghanistan and elsewhere have been costly in terms of soldier deaths, excessive expenses, and unpayable debt. Central banks and governments want more debt, more currency in circulation, and higher prices, so … expect more wars. 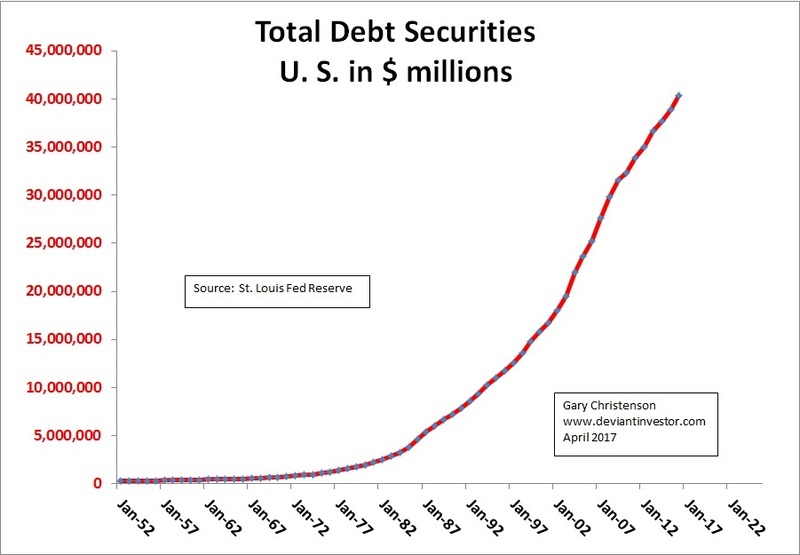 The consequence of massive and unpayable debt, out of control spending, and central bank “printing” of currencies is inevitable destruction of the currencies. 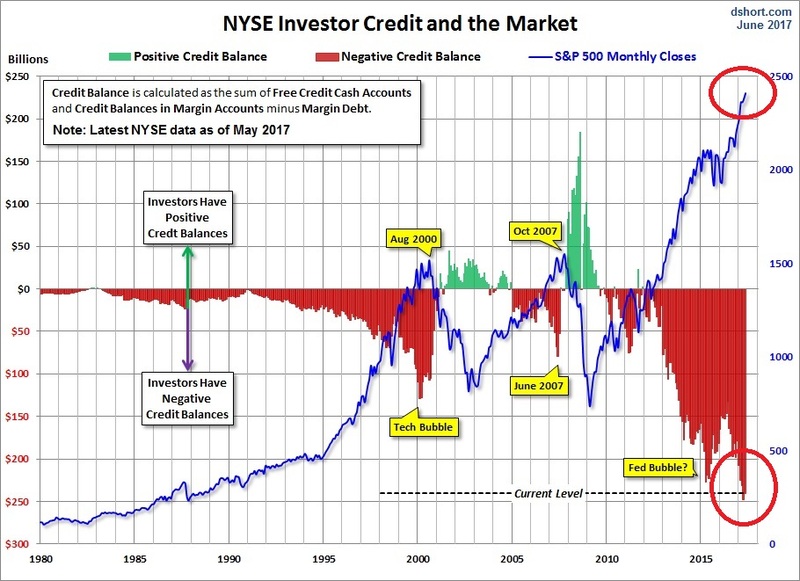 The western central bank answer: Levitate stocks, boost bonds, near zero interest rates, “war on cash,” and more debt. 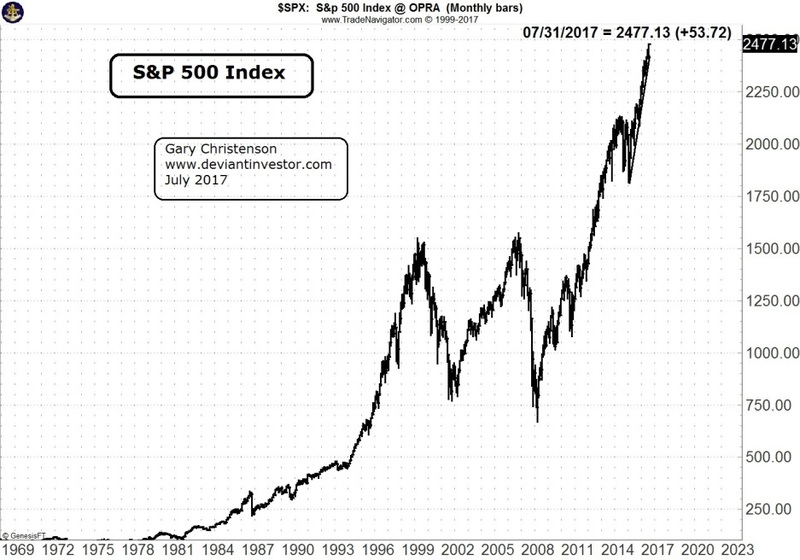 Note the current parallels with crashes in 2000 and 2007. 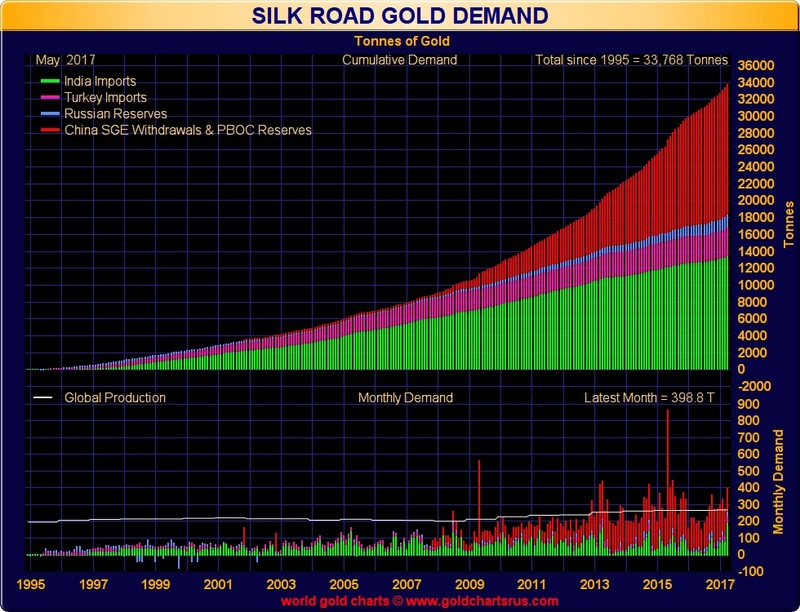 The Asian answer involves acquisition of gold, lots of gold. Why have western vaults shipped another 1,000 metric tons of gold bullion to Asia in 2015.